Vector Frame walls, light boxes, counters, and exhibit kits combine aluminum extrusion frames with push-fit fabric graphics to create versatile displays. Quality crafted and manufactured in the USA, Vector Frames are customizable, reconfigurable and with simple graphic changes, can convey a new or multiple messages easily. Vector Frame banners can be used to display messaging as a banner, backwall or hanging art. 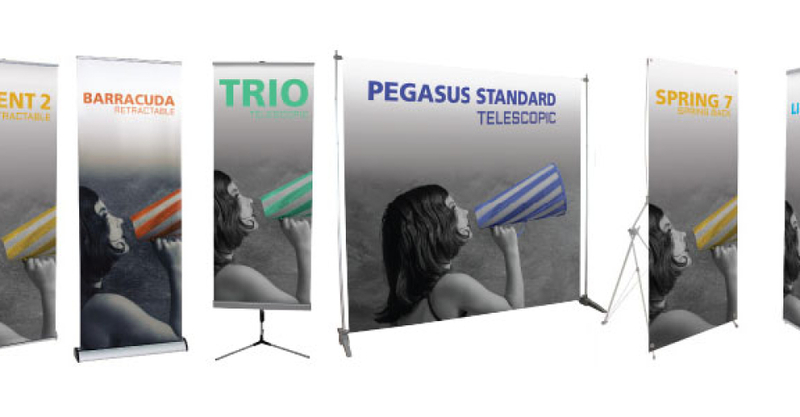 Vector Frame Master and Essential exhibit kits come in 10ft and 20ft wide options. Vector Frame walls and exhibits are ideal to showcase bold graphics for maximum messaging, branding and impact. Lighting can create a powerful, impactful presence and display. Illumination is an important piece of the puzzle to achieve the mood, style and staging that you desire. A-One Exhibits provides the trade with a variety of Luminosity display lights, lighting kits and solutions to help clients make their projects glow!